A first-generation college student from New Albany, Ind., Tiarra Taylor was recently crowned the 35th Miss ISU. "There are no words to describe winning. I was in shock honestly; I had hoped and prayed. When I won, I was overcome with emotions," said Taylor, a freshman human development and family studies major. "I really created a bond with these girls. It was weird not going back the following Monday after the pageant. We all talk to this day and we keep in touch." Taylor competed against 12 women in the Miss ISU Scholarship Program, in which contestants met for six weeks every Monday. At this time, they would take a short quiz that would help prepare them for interviews and practice in their heels. Previous to Miss ISU, Taylor had competed locally, but the crown had eluded her until the Oct. 23 pageant. "A big part that made me want to come to ISU was that it had the Miss ISU program. A lot of colleges don't have prelims to Miss Indiana," she said. Taylor wants to share her story with young women and continue to break barriers for women and honor her family especially her grandfather. "He was selfless, and he loved everything and accepted everyone. He gave back and was a humble man," she said. "I want my family to believe in their dreams and know that anything is possible." 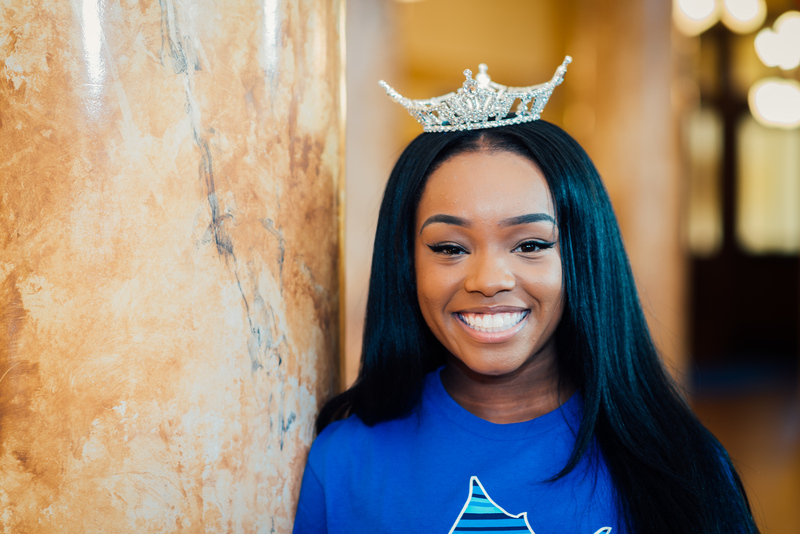 Taylor is looking forward to familiarizing herself with campus and learning about Indiana State traditions as she represents the university as the new Miss ISU. As a Sycamore, Taylor plans to join a sorority and is involved in community service on and off campus, including with the Boys and Girls Club, which is her platform for the competition. "I want to invest a lot of time into those kids, and I have heard that joining a sorority is a great experience," she said. Since she began prepping for the Miss ISU competition, Taylor has been supported by her boyfriend and Remy Branstetter, Miss Harvest Homecoming director who helped Taylor through every step of the process, and her parents, Latasha Bland and Dion Taylor. Her focus now shifts to exercising, shopping for dresses, interview preparation and resume building ahead of the Miss Indiana pageant, which is held in June. "My mom helped me with my very first pageant and if it wasn't for her, I do not think I would have competed," Taylor said. "She has been with me through it all."